Enter the amount in the "Gift Amount" field. Donors who support the Annual Fund at the Leadership Level, which is currently $4,000 or above, will be invited to the Donor Recognition Event next fall, and their names will be recognized in the Annual Report. Use the drop-down menu to select "Annual Fund" or "Capital Campaign." 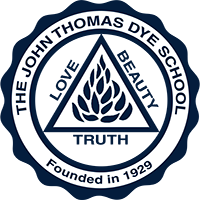 Phone: (310) 476-2811 Located In Los Angeles, CA, John Thomas Dye is an independent school for grades K-6. Students benefit from a challenging academic program, fine arts, competitive athletics, and a wide selection of extracurricular activities.